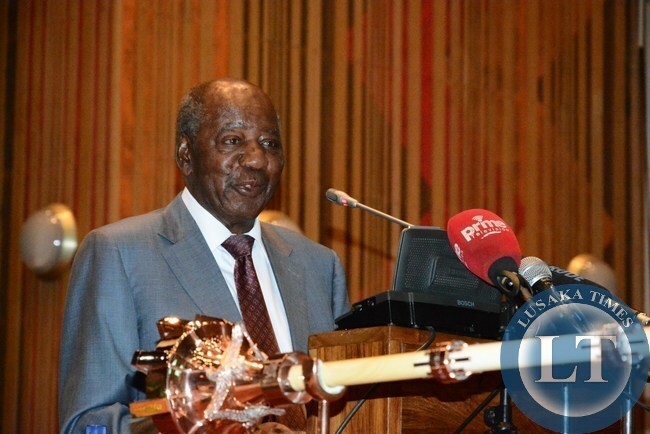 Finance Minister Alexander Chikwanda says government is putting in place various measures to ensure mining companies declare correct profits and pay corresponding taxes. Mr. Chikwanda says the measures include increasing coverage and scope of audits, recruitment of mining engineers in the tax audit team and increasing capacity for officers through specialized training among others. Speaking during the questions for Oral answer session in parliament this evening, Mr. Chikwanda revealed that the specialized training will focus on complex things such as transfer pricing and use of copper prices on the London Metal Exchange. Mr. Chikwanda adds that the Zambia Revenue Authority -ZRA- is also collaborating with other agencies such as the International Monetary Fund and the Norwegian Tax Authority to enhance accountability. He says most of the measures have been implemented since 2006 and are ongoing. Mr. Chikwanda was responding to a question by Kalabo Member of Parliament Chinga Miyutu who wanted to find out measures employed by government to ensure mining companies declare correct profits and pay corresponding taxes as well as results of the said measures. Just go home and relax you useless clueless old fossil! You have bankrupted the Nation TWICE with your BORROWING and uncontrolled spending of public money. When are you going to wake up and stop dreaming? Just because you were Satas uncle does not mean you have any intelligence. It means you have probably inherited the same genes that made him an IDDDiot! You have done enough damage to the economy. Step aside and let competent people come in and repair the DAMAGE! Chikwanda you are just increasing the cost of doing business for ZARA. You will need to think outside the box, if you are to win the tax wall. As long as you heavy depend on foreign based investors, just know that you will lose the battle at the point of tax transfers. Recall these companies outsource their own companies to supply, provide management consultancy jobs, shipping in and out of the country. That is where the profits remains and harvested in tax heavens. Give that job to the young who understand today’s ways of global business operations. Edgar+Chikwanda this combination is a deadly poison more deadly than Doom to the well being of any nation,sometimes I ask myself what wrong has Zambia done to deserve this scum bags as our leader or we are just a country blessed with the most cluless,visionless,brainless,useless and a drunkard bunch of leaders. Does he think we are so gullible?!! Haven’t we heard similar statements before? And aren’t you the one who kept on changing tax measures concerning mines? Inspirational finance minister? Hell NO! He knows he talking to majority of our MPs who do not have a G12 certificate to understand such issues. This Fossil is wishfully thinking surely what measures are those when copper is sold via transfer pricing to the miners subsidiary companies…simply look at that face in the photo its too outdated to brainstorm such issues. Why is it that this government always says ‘will ‘ which is just a statement of intent and not say’ we have’ which is more positive and suggests that action is been done? This lazy attitude will not bring food on the tables of Zambians . For how have we been reading and hearing about such statements before? WHO DO YOU THINK YOU ARE KIDDING MR CHIKWANDA?? You are so dishonest, your decisions are only made after these toxic mining companies deposit cash in you offshore account. Unfortunately you are speaking to Zambians 80% of who are gullible, or just plain illiterate. I for one know you are currently in campaign mode, seeking re- election so you can continue your shameless plunder, so you will lie, sugar coat, & deceive, promising “Heaven on Earth” before you finally deliver Hell, once re- elected. you & your family “Filthy Rich”, @ the expense of the poor Citizen, who though gnashing teeth, & a rumbling empty stomach will continue to blindly holler “1fintu ni Lun6u!! If measures started in 2006 and we have seen no results 10 years later,what will change and when?Please accept failure though not completely your fault but also lack of patriotism where people who want power go to campaign against proper laws to collect more taxes. They go and side with mining companies instead of supporting more tax collection for the country. We have seen your attempt to collect more tax but you needed to have a very holistic approach to this – it is a very serious project which you seem to treat with kids gloves. “Govt will” ..but when? Ba ABC, we all know that if GRZ was serious with collecting money from the mines it would and earn us some handsome amounts. We know this becoz Mwanawasa implemented stringent collections and within a few months $400m was in the coffers. Imagine how much we would have earned by now,if RB did not collude with the miners and given Zambians the short-end of the stick? Another thing, corruption at ZRA has to be looked into, as some of these mines would find it cheaper to pay one man a bit of money than pay the nation the entire tax bill. Good observation Uwakwisano. The challenge I have with ZRA is Indeed corruption, just look at Customers officers within ZRA, these guys have acquired properties that does not commensurate with their income. The question is where do they get resources to acquire these properties? that is your point “corruption”. My take is that 20% of ZRA’s revenue collections ends unto into self ZRA’s employees pockets. On my account these are actually syndicates within ZRA at all levels.